ICELAND. Reykjavik. 2007. 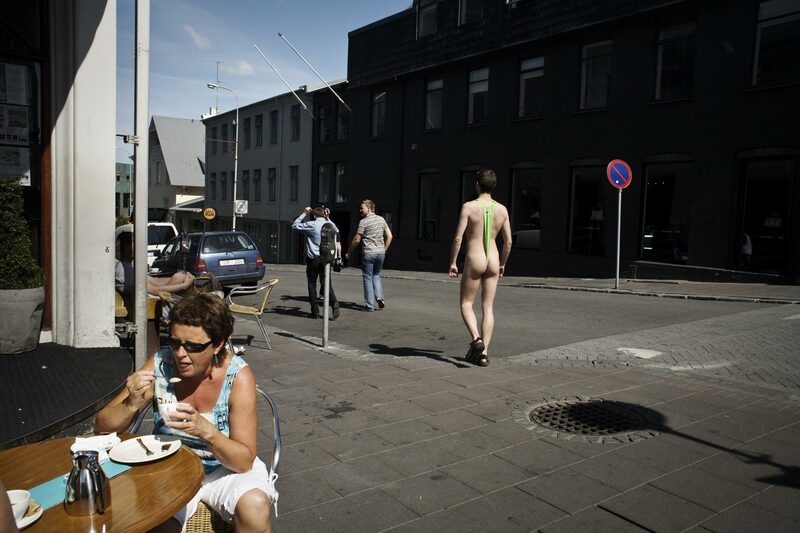 A street comedian walks around Laugavegur, Reykjavik's main shopping and dining street, wearing a copy of the Sascha Baron Cohen's movie character 'Borat's swimsuit.